Depending on how far you’re prepared to travel as a freelance trainer, your focus is likely to be on attracting local clients within comparatively easy reach of your home or office. Claim your Google My Business page if you haven’t already done so. This is your free business listing to appear in Google searches and on Google Maps. Make sure that your business contact details are listed correctly in Google My Business. Your business name, address and phone number – known as your ‘NAP’ – are particularly important. Virtual addresses or PO Box numbers will not have the same impact. Add other details to Google My Business such as your opening hours, web address, services and other information that local searchers might be seeking. These three steps alone will make it easier for clients to contact you and see that yours is an established business. If your phone number is visible in Google searches, clients can call you straight from the search results, which is a great time saver. Add your training business to good quality local online directories, such as Yell and TouchLocal. Search engines look for citations/mentions of a business as well as active backlinks to a website as a measure of its reputation. If your business is listed in a variety of good local directories, every mention will count as a citation. Think of each citation as a third party saying, “Yes, this business exists and is reputable”. Ensure that your NAP is listed exactly the same as on Google My Business in all directories – inconsistencies in your business address from one directory to another can apparently cause your business to be demoted in local search listings. According to the Brightlocal Local Consumer Review Survey 2017, 97% of consumers read online reviews about local businesses in 2017; 12% of us did it on a daily basis. In addition, 85% of people say they trust reviews as much as personal recommendations. Now, although these stats relate to business-to-consumer companies, rather than the business-to-business arena you occupy, reviews are still important to potential clients and to search engines returning local listings. Ask your existing clients to leave a review about your training services on your Google My Business page. Google tends to prioritise businesses with high star ratings and good reviews over those with no reviews. 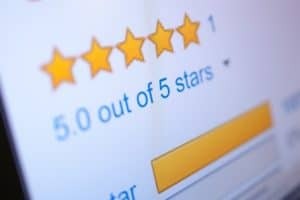 Other online review pages can help your visibility and reputation too – this could include Facebook reviews or even featuring reviews on your own website. People tend to find recent reviews written within the last three months the most accurate and trustworthy. If it’s been a while since a client has left a review, you could ask them to update their feedback so that it includes your recent training support. A slow, steady trickle of genuine reviews looks more authentic than a mass posting of multiple reviews because the latter looks like it’s been engineered by the company rather than happening organically at the clients’ end. If you are trying to target local clients, then ensure that your NAP is visible on all pages of your website. When viewing your site from a mobile phone, this will help potential clients to be able to call you from any page. It also tells search engines that location is important to your business. Try to include some location-specific content on your website – things like a case study about how you’ve helped a local business, local news stories or directions to your premises all reinforce where your business is located. Make sure your website has a ‘Contact’ page with the NAP clearly listed. You might want to include a view of Google Maps, directions and information about parking (if people come to your place of work). If you have videos on your website that mention your location, add a transcript of the video so that search engines can understand what is said and pick up local references. Get involved with your local community, perhaps by sponsoring an event or taking part in fundraising, and share this on your website. If you are considering running a Google AdWords campaign, you might want to explore the local search ads options. 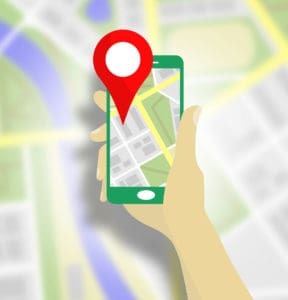 It’s possible to get your business listed on Google Maps as a prominent ad at the top of the listing of local businesses and/or as a ‘promoted pin’ on the map itself. Are there any tips here that you plan to put into action to help you reach local clients? 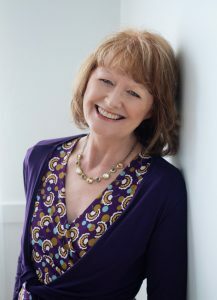 I’d love to hear your thoughts in the Comments section below or over on The Trainers Training Company Facebook page. If you make any of the changes suggested in this list, why not leave a comment to let me know how you get on? If you’ve found my tips helpful, it would be great if you could pass it on to your network using the social share buttons below. It only takes a second but it means a lot.